Star Trek Online launched over a month ago, and since then Cryptic Studios has listened to players suggestions, ironing out some of the problems and adding massive amounts of free content. We spoke with Craig Zinkievich, Executive Producer, in an exclusive interview about what's in store for Star Trek Online players. With Star Trek Online released over a month ago, how is the feedback from players? Plentiful :) Folks have had quite a bit to say about the game, both positive and negative. We’ve been collecting quite a bit of it to help us figure out what needs fixing and what we need to create more of. It’s definitely nice to be able to interact with our customers, both directly and via design. How was the overall reception to the Borg update? It’s actually still ongoing, but folks seem to like it so far. The majority of what we’ve released has been Special Task Force missions, which are endgame missions designed to be especially challenging, so the players who are into really testing themselves and their friends are finding their hands full. You’re conducting surveys to know what players want in Star Trek Online. Since launch, what was mostly requested for Cryptic to add to the game? That answer is a bit of a moving target. People seem to really focus on one thing they’d like to see changed for a bit, but then a new theme pops up and it becomes a hot topic. The stuff we’ve really taken to heart has been additional PvE content for the Klingon faction, exploration content and balance issues. We’ve got a pretty good road map planned now, thanks to the fans. Are you planning on adding new factions soon? Can you reveal them, or give us some clues? We definitely want to bring new factions into the game. Right now, we’re not at a point where we’re able to talk about which faction is coming next. We’re focusing on the Federation and Klingons for the moment. We want to get those perfect and then move on from there. 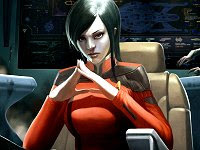 Is Season One: Common Ground the biggest content launch yet for Star Trek Online? What features are the most important in your opinion? I think the new Fleet Actions, as well as opening a number of Fleet Actions to Klingons, is really important for players. We’ve also got some more Special Task Force missions on the docket, and I’m very excited about the new Klingon Battle Cruiser available, too. And I know some folks on the team are looking forward to the off-duty uniforms they can wear. Any launch predictions for Season Two and Season Three? Can we expect them this year? Wow, even though we’ve got some stuff in the works, we’re staying focused on Season One until it releases. But expect Seasons Two and Three sometime this year. We’ll talk more about both as we get closer to their release dates. You already have a few Special Task Force contents planned. How was the feedback on the first release, Infected? The general feedback has been: This thing is HARD! That’s what we were going for. We really wanted to push players and force them to rely on their teammates. Infected has been very successful in that regard. Of course, we’re working out some kinks based on feedback, but I think it’s a great start to the STF franchise. You recently posted an Upcoming Events Calendar. How are you managing to keep up with the announced content dates? So far, so good! When we debuted the calendar, we released it with the caveat that in game development, deadlines and schedules change quite frequently. We do plan on hitting the windows we announce, but even if we slip, we think it’s important to let subscribers know what’s on the horizon. The dialogue is almost as important as the timing. Ground combat seems to be the least appreciated aspect of Star Trek Online. How do you plan to improve on this? We plan on improving every aspect of the game, both stuff we’re happy with and stuff we aren’t. The process is similar for every element of the game: Look at what’s there, think of ways to make it more fun, get ideas from the community and get to work. Any other info you would like to share with our readers? We really appreciate everyone’s interest! I hope to see you all in Star Trek Online soon.